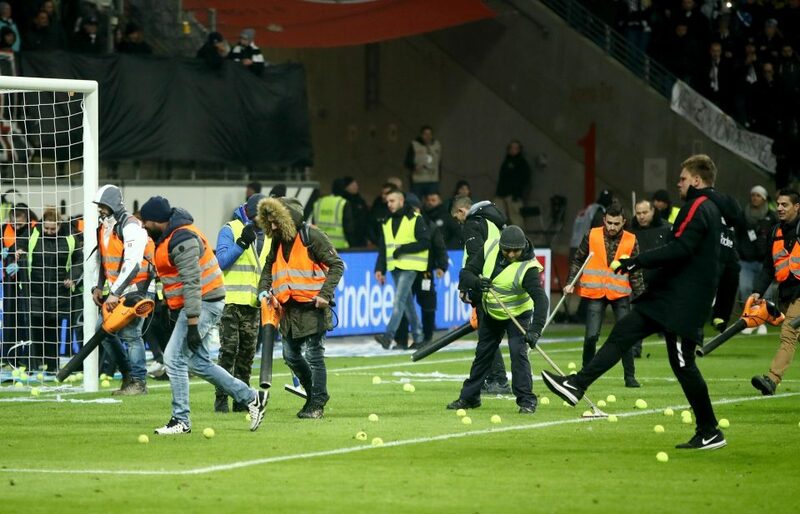 When Monday Night Football was introduced by the DFB, German football fans immediately expressed their disagreement at the new development, – protests by Frankfurt fans were followed by boycotts by the Westfalians. 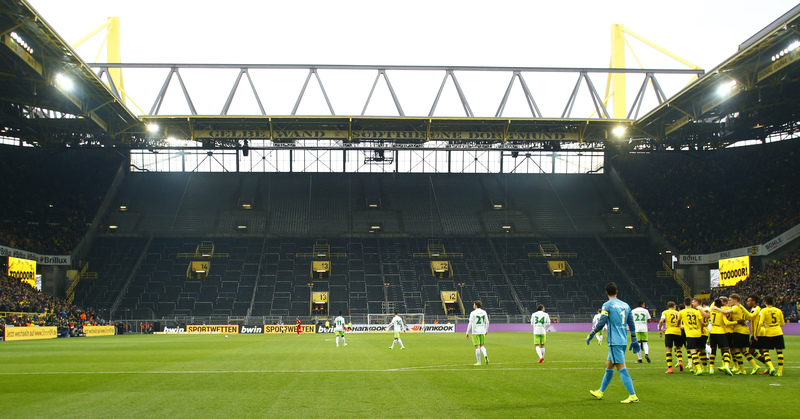 The DFB were quick to defend the decision as a means for giving teams playing in the Europa League an extra day of rest. However, this weekend things seem to have taken a twist with the two teams that played on Thursday not getting the ‘extra day of rest’. RB Leipzig are away to VfB Stuttgart and Dortmund are at home to Frankfurt while Relegation laden Koln visit Werder Bremen on Monday. What would be the actual reason behind Monday Night Football in Germany? That is a question to be answered on another day. Mid-table sides, Hannover 96 and Augsburg clash at the Niedersachsenstadion in a game that could see a change of standings between the 10th and 11th respectively. Hannover 96 have become a harder side for visitors regardless of the fact that they have have lost all three here in total (W6 D3 L3). That aside, they have greatly improved against tomorrow’s opponents in recent years (W6 D4 L2), which presents the right moment to move above the Fuggerstädter. Augsburg have not been convincing on the road winning just one of their last seven (W1 D2 L4), something that will make it even harder against a particularly better home side, Hannover 96. Both sides lost their previous encounters, Augsburg losing 2-0 at home to TSG Hoffenheim while Hannover 96 lost away to Frankfurt, falling short of chances to play in Europe next season. Midfielder, Daniel Baier cannot stop worrying about “coming away with points against a strong @Hannover96 side” as his side remain heavily plagued by injuries. It doesn’t matter how many injuries we have, we see it as a challenge and are staying positive. We have a good squad that can make up for those who are missing. Raphael Framberger, Jeffrey Gouweleeuw, Alfred Finnbogason and Kevin Danso remain out with injuries but the return of Caiuby from suspension remains the biggest positive going into this game. Big boost for Hannover as centre-back Salif Sane returns after missing their 1-0 defeat to Frankfurt through suspension. Edgar Prib and forward Felix Klaus also returned to training on Thursday is likely to feature for a side that is yet to win in their last three. Hannover striker Niclas Füllkrug scored his first Bundesliga goals in the reverse fixture. Matthias Ostrzolek, now of Hannover, made 70 Bundesliga appearances for Augsburg. Mid-table Hannover have 32 points on the board after 25 matches. They only had 17 at this stage of the 2015/16 campaign, which ended in relegation. Hannover’s Ihlas Bebou and Augsburg’s Marcel Heller have recorded the fastest sprint times of all players in the Bundesliga this season. Augsburg have picked up just one point from their last four games and are winless in their last five on the road. 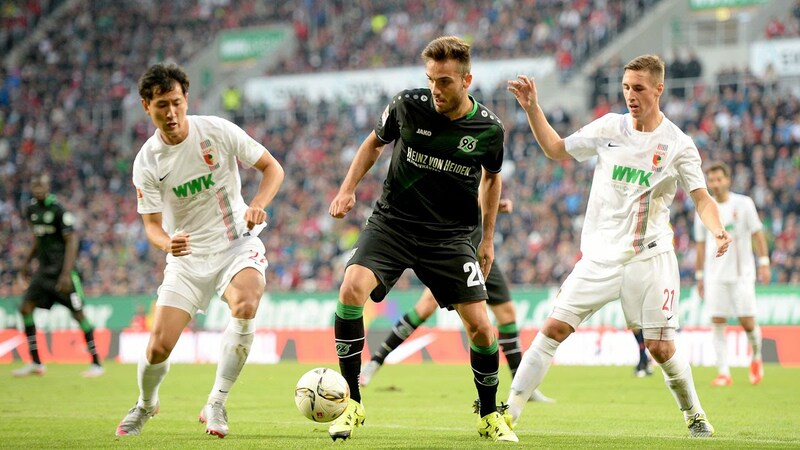 Last weekend, Augsburg’s Jonathan Schmid was used at right-back for the first time in four years.